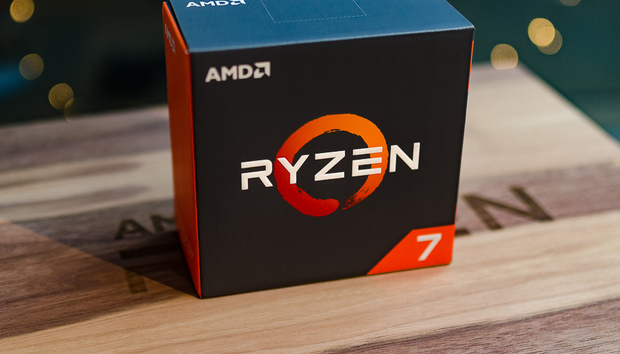 The long-awaited Ryzen CPUs are finally here and AMD’s shiny new hardware arrived with helpful new software in tow. Following in the footsteps of the WattMan overclocking tool for Radeon graphics cards, the Ryzen Master overclocking tool is aimed at giving you complete control over your new Ryzen chip, allowing you to push your processor to the bleeding edge of its potential performance. Want to crank voltage higher, fiddle with clock speeds, monitor temperatures, or even completely disable some of your chip’s cores? AMD’s overclocking software enables all that and more. Ryzen Master directly replaces AMD’s OverDrive app. That said, Ryzen Master only works with AMD’s new AM4 motherboards and Windows 10, so if you have an older AMD processor and motherboard you’ll still need to use OverDrive. First things first: Ryzen overclocking is only enabled on motherboards with the X370, X300, or B350 chipsets. PCWorld’s guide to Ryzen’s AM4 motherboards explains the differences between the various chipsets. Assuming you have a compatible motherboard, head over to the Ryzen Master landing page and download the app to get started on the path to mastering Ryzen. Unlike WattMan, which comes bundled with the Radeon Settings tool alongside AMD’s graphics drivers, Ryzen Master is a stand-alone application. As such it has its own installer and desktop icon. In order for Ryzen Master to show you accurate real-time graphs of voltages and clock speeds, you’ll need to run the HPET.bat script in the Ryzen Master install folder to make sure you have HPET (High Precision Event Timers) enabled in Windows 10. If you don’t have HPET enabled you’ll be greeted with an error message when you try to apply your overclocking profile. After running the script and restarting your system, Ryzen Master will work normally. Windows updates may disable HPET, so if the app starts popping up warnings long after you’ve overclocked your system, run the script again. The most important thing to understand when you’re overclocking Ryzen is that the chip has two modes of operation: Normal Mode and OC Mode. Changing values in Ryzen Master will put your chip into OC Mode, which disables the Precision Power and Extended Frequency Range (XFR) overclocking features native to Ryzen in standard usage. PCWorld’s Ryzen overview details those features and other fresh tech found in AMD’s chips. You’ll have better success overclocking with a beefier CPU cooler, like this EKWB Predator 240 close-looped liquid cooler. Although AMD won’t guarantee that your chip will reach specific clock speeds, company reps told us that most Ryzen chips should be stable at 4.2GHz using 1.45 volts. They also suggested that disabling cores and simultaneous multithreading could enable Ryzen to reach even higher clock speeds—albeit by sacrificing cores and threads. But there’s a life expectancy trade-off that you’ll be making at these voltage levels. According to AMD’s internal modeling, going over 1.35 volts for sustained periods of time can negatively impact the lifespan of your chip. Using saner voltages, early Ryzen chips mostly seem to have no problem hitting 3.8GHz or 3.9GHz overclocks, with some hitting 4GHz and a rare few achieving 4.1GHz. AMD’s pushing the high-end $500 Ryzen 7 1800X to the very edge of performance, in other words, while the $330 Ryzen 7 1700 looks much more enticing when you consider that the chips can flirt with 1800X’s performance with the help of a decent aftermarket CPU cooler. One thing to consider: Since Ryzen Master disables Precision Power and XFR, if you don’t overclock your Ryzen at least up to 4.1GHz—the top XFR state for the Ryzen 7 1800X I’m using—you could potentially see performance decline in strictly single-threaded benchmarks like Cinebench R15. The performance boost in other applications could very well make up for it, however. The core of becoming a Ryzen Master is knowing exactly what your chip is doing right now. The temperature and clock-speeds graphs at the top of Ryzen Master. To that end, there’s a real-time graph of per-core clock speeds and the CPU’s temperature at the top of the Ryzen Master interface, accessible by clicking the tiny > icon in the upper-left. It’s especially useful if you want to know exactly what AMD’s Precision Boost and XFR technologies are doing to your Ryzen CPU. Using Windows’ default Balanced power profile, you’ll see Ryzen clocking itself up to 4.1GHz if your setup supports XFR, then all the way down to 2.2GHz at idle. If you switch to the high-performance power profile in Windows—as AMD recommends to improve gaming performance—this graph will show a lot less movement. Your chip will also use much more power, simply sitting at its maximum all-core boost clock (3.7GHz in the case of the stock 1800X). Ryzen Master’s default tab is labeled C at the bottom-left corner of the app. You can’t actually overclock your Ryzen CPU here. Instead, you’ll need to click on one of the four profile tabs to the left of the C tab and enter your desired settings there. Follow standard CPU overclocking procedures while you’re doing this; if you’re new to overclocking, PCGamer has a helpful guide. (Protip: Make a bunch of tiny tweaks, testing for stability in between adjustments, rather than massive leaps in clock speeds.) Whenever you tweak core clock speeds or voltages, clicking the Apply button in the top-right corner will bring your overclock to life. One of the Ryzen Master tabs that let you tweak CPU and memory overclock settings. Ryzen Master also offers the ability to tweak your memory’s voltages and speed, but these features require support from the motherboard. The $255 Asus Crosshair VI Hero that we used for this article doesn’t support the feature, alas. But if yours does, you’ll be prompted to restart the system to apply any memory speed changes you’ve made in Ryzen Master. Once the system restarts Ryzen Master will automatically open back up. Once you settle into an overclock that you like, you can save it using the Save Profile button at the bottom of the app. Ryzen Master lets you save up to four profiles if you want to create individual overclocking setups for different scenarios. While you’re on your own when you overclock, AMD doesn’t completely toss you to the wolves with Ryzen Master. If you run into trouble or need deeper details about any aspect of the overclocking process you can refer to AMD’s surprisingly robust help manual by clicking on the Help button in the top-right corner of the app. That covers all the major aspects of Ryzen Master, AMD’s powerful overclocking tool that provides granular control over every part of your chip. Now that you’ve completed your training, how does it feel to be a Ryzen Master?